One of the things that I love most about returning to someplace is seeing what has changed in the time since I went there last. At this year’s 4th annual Big Omaha conference, I met a hefty group of entrepreneurs from Iowa, many of them part of the Startup City Des Moines incubator program. One of these, in particular, stood out. Tikly is a self-service ticketing platform, focused on bands. In a market where Ticketmaster still dominates, Tikly is finding a home for itself by selling the tickets that many of us don’t even know about. But what’s most remarkable about this day-1 profitable company is its 22 year old founder and CEO, Emma Peterson. Peterson is your average 22-year-old midwestern girl. You know, the kind who leaves home at 21 to manage a band, has never held a job that she didn’t create herself, raises $15,000 for a cause then decides that she’s so upset about the ticketing industry that she’s going to fix it. All in a day’s work, right? Right. 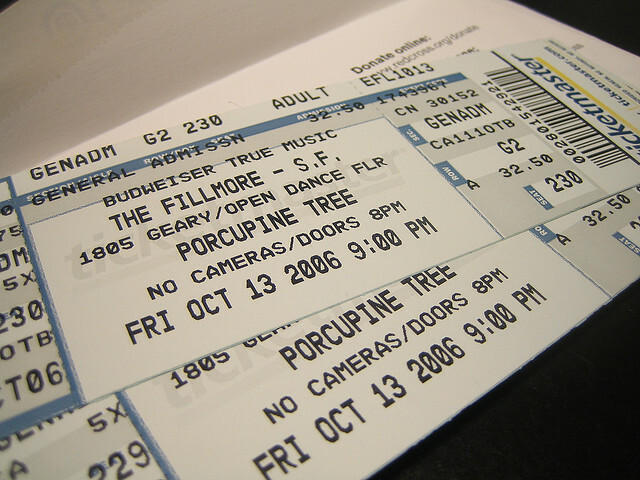 Peterson believes that “at some level, all these tickets belong to the band”. Even if the venues, the promoters, Ticketmaster and everyone else in between would disagree. But while she was deeply involved with the band, she was in a unique position to see the problems of the industry, especially as they related to independent musicians. So she expressed her frustration to fellow Des Moines resident Ben Milne of Dwolla, and he presented her the challenge – “Why don’t you build it?” Understandably, Peterson didn’t think that she was the right person for the job, but Milne urged her on, saying that she seemed to be really passionate about fixing the problems. Peterson had found herself her first mentor. The rest, as they say, is history. As a platform, Tikly focuses on a couple of different areas. First, for venues that are beholden to Ticketmaster, there is always a certain percentage of seats that the band can sell for itself. But then there are the venues (up to and including someone’s back yard) that don’t owe Ticketmaster a dime. Selling tickets for those is a difficult process, and Tikly makes it easier. There’s no fee to use the service, and there’s no hidden costs either. If a ticket costs $30, Tikly adds an extra $3 for a grand total of $33. That same 10% fee applies across the board. The band? They get the whole $30. Tikly even pays the transaction fee, an ability that Peterson chalks up to her work with alternative payment platforms, such as (of course) Dwolla. Tikly caters to artists, venues and events alike. There are tools to allow discounts for combinations, there’s order tracking, metrics and a full suite of other tools to help the ticket seller get the most out of their experience. And that’s exactly what Peterson is hoping for; a ticketing experience. Ticket sellers get to manage the information on the page, so that it’s always accurate, and they can even customize the look to have it match their branding. In the meantime, the Silicon Prairie is doing what it does best – attacking big problems while the rest of the world flies 35,000 feet over their heads.